As a shooting star in the startup world, Jared Hecht has “always had a proclivity for straying from the common path.” And like a shooting star, Jared has been opening eyes from the very beginning of his young—and rather impressive—career. Armed with a degree in Political Science from Columbia University, Jared first made a name for himself in his senior year, when he acted as manag­ing director and publisher for the university’s student-written guidebook, Inside New York. Taking the publication into the 21st century, his leadership and experience landed him his first post-grad gig as Business Development Manager at a little startup called tumblr. You may have heard of it. After getting a taste for the tech world in his role with the blogging mega-site, Jared partnered with software engineer Steve Martocci to try his hand in the ever-emerging world of social networking. The pair co-founded the group messaging app GroupMe, in May 2010. What began as a quick and simple way for friends to stay connected in areas with unreliable phone service grew overnight into a buzzing social networking app—prompting $10.5 million from investors, and $80 million one year later, with the acquisition of the company by Skype. 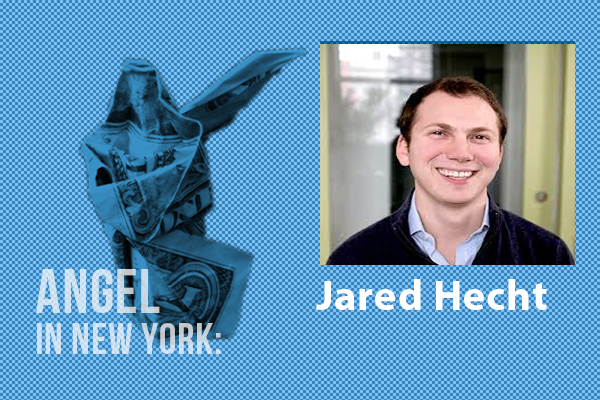 Since then, Hecht has become an active Angel investor, investing in a variety of startups and tech companies, including Codecademy and AngelList. In September 2013, Hecht co-founded and raised $3.4 million for Fundera, a loan marketplace for small businesses. Acting as CEO, he aims to provide solutions to small businesses that are denied bank loans, despite having a healthy and successful business. With 20 lenders already vetted and a successful private beta launch, Fundera is ready to begin matching pre-qualified applicants with lenders—proving once more that if there’s a foreseeable problem, Jared Hecht knows how to fix it, and make everyone money in the process.